The Cotswolds are always revered for their natural beauty and the quaint little villages that are scattered throughout, but what about the other facets of the Area of Outstanding Natural Beauty? 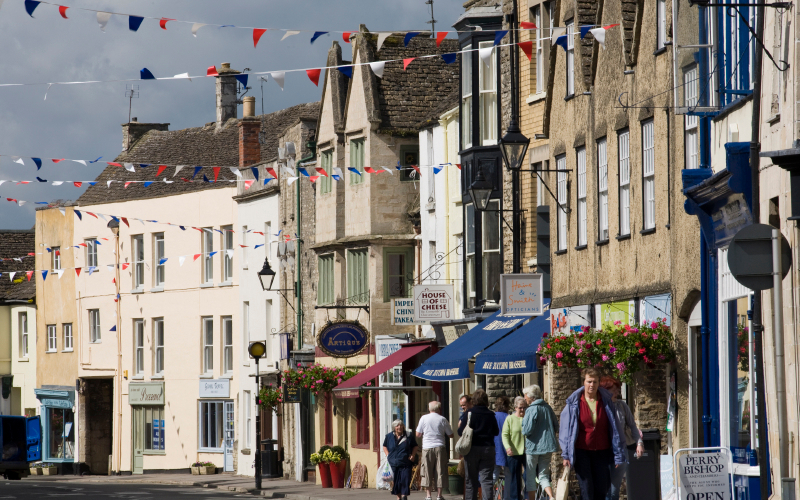 One thing that the Cotswolds has firmly under its belt is delightful local shops selling high quality, locally made and produced products. Here at Lords of the Manor, we firmly believe in supporting local industry, and always endeavour to use locally sourced produce where possible. Here at our Cotswold hotel, we have put together a list of local gems that you should absolutely add to your list of Cotswolds hotspots. Christopher Clarke Antiques is not your everyday antique shop. This is because the Stow on the Wold based emporium specialises specifically in military campaign furniture and travel items. They have an extensive catalogue of stock, from rare 18th Century portable furniture to late 19th century pieces such as campaign chests. Having called Stow on the Wold home for more than 50 years, the charming Cotswolds retailer is well known among locals, antique dealers and collectors near and far. There is always an expert on hand to offer you a wealth of information, in fact those that run the shop are researchers and writers on the subject of campaign furniture have lectured on portable furniture both in England and abroad. Christopher Clarke Antiques is definitely worth a visit if you’re on the hunt for some interesting and unusual décor. Piper Chatfield is the go to place for fine furnishings. Bringing together classic antique style with sleek modern elegance, Colin Piper really knows his furniture. Having studied furniture design and gone on to lecture in the subject, he’s the man to go to for any of your furniture need and wants! After some years working in the antique trade, restoring and dealing in furniture, Colin moved more towards the conservation side of things. His desire was to preserve the beautiful pieces made by craftsmen of the past, restoring them to their former glory, so that they can be admired and enjoyed for years to come. At Piper Chatfield, this desire has been realised. The shop specialises in restored antique furniture, while also selling some beautiful contemporary pieces- definitely worth a visit! Scotts of Stow is a real Cotswolds institution. Founded by American businessman, Robert Scott in 1991, Scotts of Stow has been the go to store for homeware ever since. The company’s hugely-popular flagship store is situated in the centre of the Market Square in Stow-on-the-Wold, and draws tens of thousands of visitors each year from all over the world. You might know the store from their hugely popular home delivery catalogue, but it is definitely worth a visit to the store itself! Daylesford Organic Farm is an organic farm based in Gloucestershire whose mission statement is to bring fresh organic produce from farm to fork in as few steps as possible. Just down the road from Lords of the Manor, their Kingham farm shop takes full advantage of its location, with vegetables, fruit and herbs picked fresh each morning from the market garden. Next door is the dairy and creamery, the farm kitchens and Daylesford’s animals, who roam freely around the surrounding Gloucestershire countryside. It’s the perfect place to pick up some exceptional local produce, so that you can enjoy a taste of the Cotswolds even after your stay has ended. So, those are our top picks for Cotswolds shopping, and all just a hop and skip away from Lords of the Manor! Make the most of your stay, and take a little piece of the Cotswolds home with you. Book here for your stay at one of the best hotels in the Cotswolds, or call us on 01451 820243 to enquire today.